﻿Researchers have identified key events that prompt certain cancer cells to develop resistance to otherwise lethal therapies. By mapping the specific steps that cells of melanoma, breast cancer and a blood cancer called myelofibrosis use to become resistant to drugs, the researchers now have much better targets for blocking those pathways and keeping current therapies effective. The findings are published in two papers in the journal Science Signaling. The researchers developed a screening technology that allows to quickly identify the routes cells can use to become resistant, and using that information, they were able to show that these mechanisms seen in the laboratory are actually also occurring in patients' tumors. The researchers conducted a broad survey of the known cell-signaling pathways that, when activated, have the potential to trigger resistance to drugs. Using this screening technology, they were able to corroborate the results of earlier drug-resistance studies, while also finding new pathways that had not previously been described. 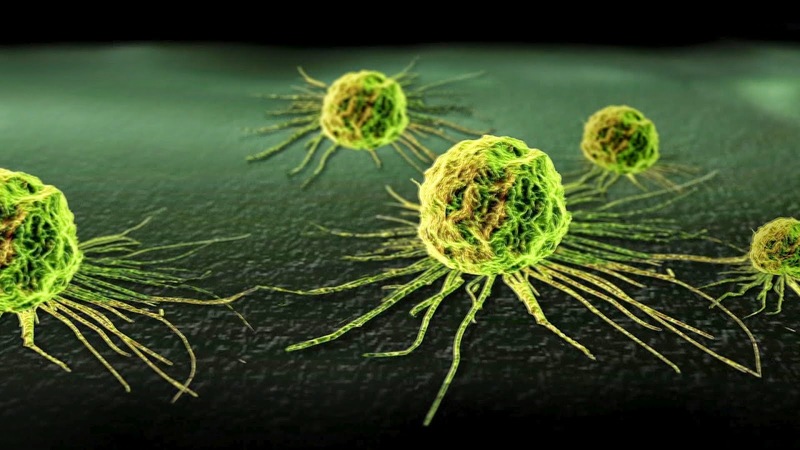 The new mechanisms they identified in the laboratory were also clinically relevant, appearing in tumor cells from patients who had grown resistant to therapies. Interestingly, the mechanisms are quite similar among all three of the cancer types. In breast cancer and melanoma, the findings suggest the same Notch-1 pathway as a potential driver of resistance to a wide array of targeted therapies - a role that has not been widely acknowledged previously. In myelofibrosis, the researchers tracked a pair of separate signaling pathways downstream of an important signaling molecule called RAS. When activated, these pathways promote resistance to current standard-of-care targeted drugs by suppressing cell death. In the second Science Signaling paper, the researchers suggest that targeting the pathways downstream of RAS may sustain the potency of current therapies. Together, these findings improve the ability to stratify patients into groups more and less likely to respond to therapy and design drug combinations that work together to block or delay resistance. Originally posted by Duke University Medical Center.